What could be the criteria to determine whether your content marketing is effective or not? 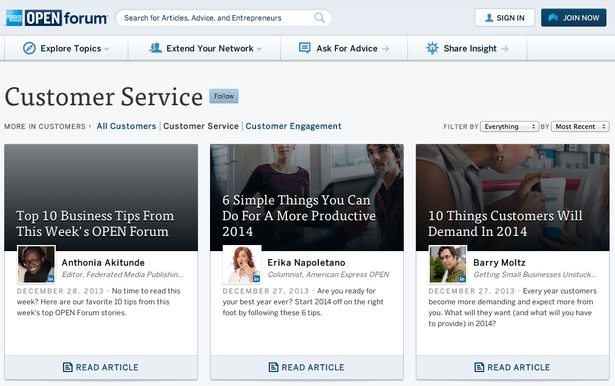 Is a blog mandatory for your business? And so many questions like these surround you the moment you think about creating a content marketing strategy for your business. There are so many things that need your attention while creating a content marketing strategy such as are you creating a content that contributes to a pertinent human conversation, does it contains a relevant story that people will love to read and so many things like these. Brands can and have built audiences with content. Lets’ have a look at five brands that have proved to be exceptionally successful when it comes to their content marketing strategy and see what is it in particular that they have been doing . The $54bn semiconductor chip company Intel launched IQ , which is a publishing platform curated by the researchers and engineers of the company. With IQ they intend to connect with a younger audience and tell them the stories behind the brand that are not just confined to PCs and processors. The site is more like a magazine featuring both aggregated news stories and original content. As far as the curatorial control is concerned, it is in the hands of the 100,000 employees of the company. This helps make site work as a true expression of the company collective voice. What we learn: Tell a story that people find interesting and can relate to! 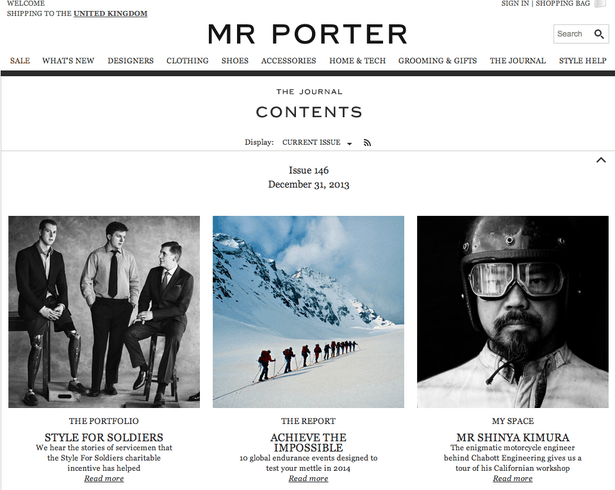 The high end men’s fashion site Mr Porter prefers to have a beautiful online magazine than having a retail destination that’s generally meant to promote products. They however layer the product and promotions under their editorial content such as video manuals, a weekly journal, how-to-tips, photo spreads and call-to-action messaging. So, this is how they maintain a perfect balance between the content and the commerce. What we learn: Think of content as commerce! OPEN Forum which is an award winning educational and networking community, was founded by American Express in 2007 with the aim of helping small businesses grow. It bestows entrepreneurs and small-business owners with practical information, such as how to use twitter for some ultimate results or how to become a successful entrepreneur. Besides, those who have American Express OPEN card can create a profile, share ideas and market their own companies. 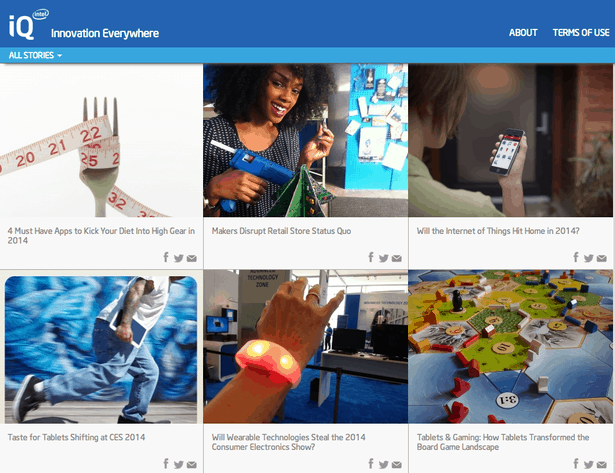 American Express tries to bring stories to the users at the right time, in the right place through RSS feeds, widgets, rich video and conversational ad units. They also make use of analytics to figure out how their each content is performing and that what kind of content they should work on more or which platform is most suitable for what content. What we learn: Meet audiences where they are! 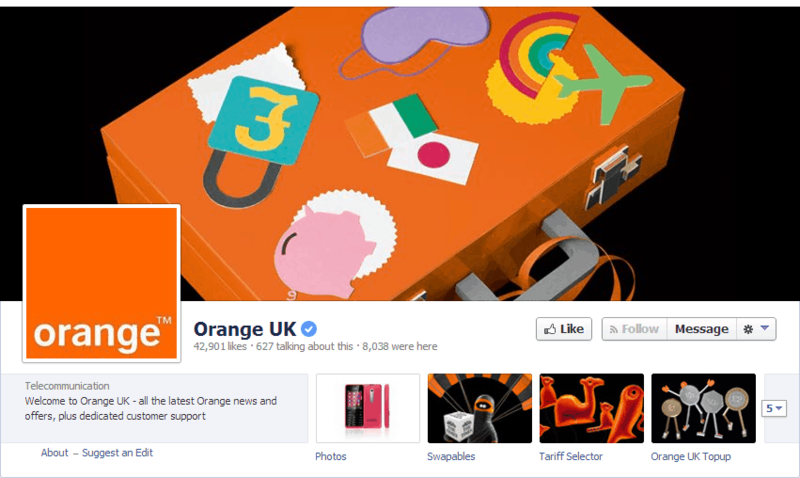 Instead of investing in a full editorial team and maintaining a blog, Orange preferred to build its own content marketing strategy which is far more affordable & sustainable and spread out their offer as one of the leading destinations in Europe for entertainment news. So, they went ahead and used licensed and curated content to deliver real-time news across four languages rather than hiring an editorial team. They created an entertainment portal letting people to interact and share multimedia content and entertainment news in a new way irrespective of the platform it was on -a mobile, tablet or web. This helped them to spend their time and money on other initiatives without compromising on quality. What we learn: Build a content strategy that is within your means and sustainable! 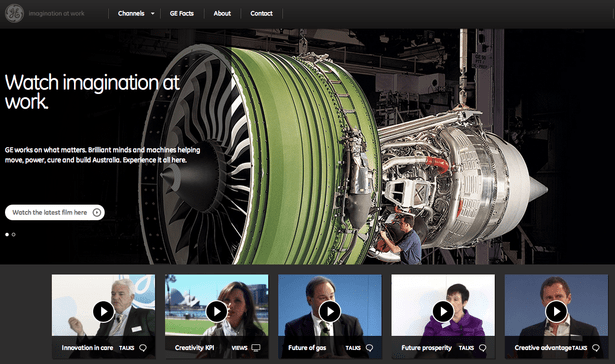 The strategy behind each content marketing step that GE takes is that to stand out, reach more people and grow, one should foster genuine community and inspire action around a bigger cause. Building a content marketing strategy around a purpose that is bigger than your company would certainly work. All the content on GE blog is mainly based on this core purpose whether it is about LED light bulbs or preventing deforestation. Their content marketing strategy is not just about product promotion it is rather meant to provide a platform for action. They offer their readers with a forum called ‘ecomagination’ where they can share their views and ideas about clean technology and sustainable infrastructure. What we learn: Provide a platform for action! First thing first the business! Yes! Your content strategy entirely depends upon the kind of business you are running. The second thing is how smartly you carry it out. Whether you are curating content or creating it, as long as your goals and execution methodologies are clear to you and you know that it will work for your business your content marketing strategy is going to work for you like it worked in case of Orange irrespective of the fact that they have not been creating content but curating it.